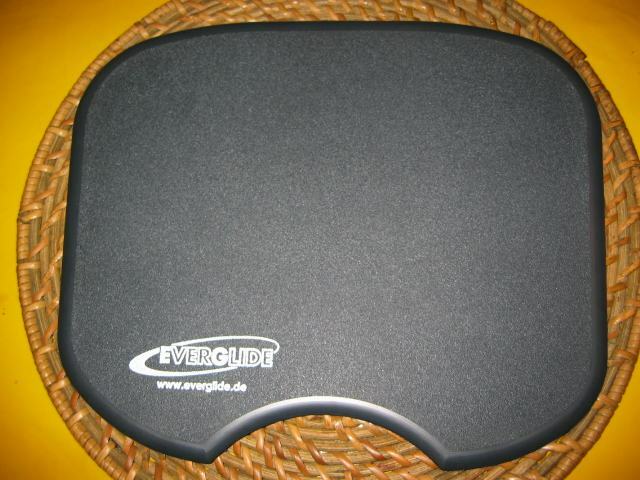 The subject of today's review is the Everglide fuZe mousepad. It's one of those mousepads built with gamers in mind, but I must admit that I prefer these 'gaming mousepads' above the regular textile mousepads that you used to get for free. I have already tested dozens of hard plastic gaming mousepads, and I like them because they offer a good tracking, and also because they don't wear out as quick as the textile ones. Now lets take a closer look at the EverGlide fuZe. Speed: The mouse glides extraordinarily fast and frictionless due to its hard plastic surface - an essential advantage especially for gamers! Precision: At the same time the slightly abraded surface admits enough drag to avoid bucking or delayed cursor reaction - precise working is guaranteed also with ball mice. Freedom Of Movement: Especially the Attack and Giganta Pads are spacious enough even for sweeping movements with the mouse. Design: For any demand and situation, the various shapes of EverGlide pads offer an optimal solution: you can choose between four different shapes fitting individual taste and scope. You may also choose between three neutral colours, and a variety of logos on the black pads! 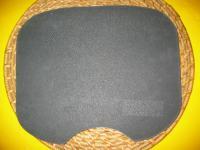 Convenience: The flattened rim and the cut-out at the bottom of the pad allow maximum comfort. Resistance: Manufactured from polyethylene, the pads are very robust, durable, and easy to clean: stains can be washed away under running water or wiped off with a moist cloth. And yet another advantage: compared to textile pads the mouse stays clean much longer on EverGlide pads! The Everglide fuZe is made out a plastic, polyethylene to be more precisely. It's available in a few different flavors, you can see them all here. The one I got is the Charcoal version. The fuZe mousepads measure 29.60 cm x 24.70 cm and are 0.4cm thick. Their surface is a bit grainy, so providing a good tracking for optical mouses. In the left corner is a logo from Everglide, and in the middle a rounded ergonomical cutout for your wrist. 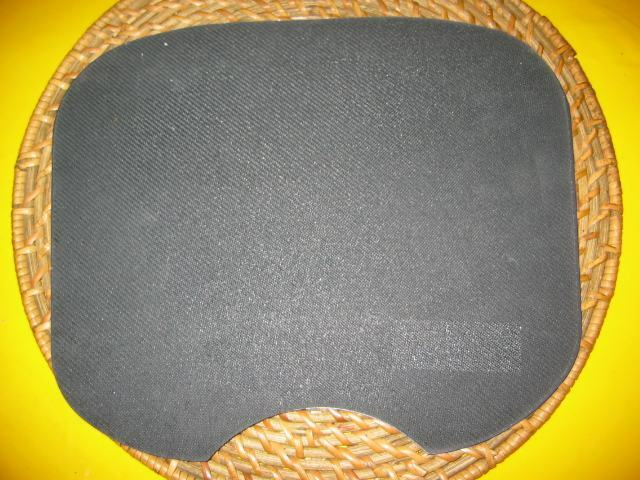 The backside of the pad exists out of a foam which prevents slipping. Like any other plastic mousepad they are easy to clean when they are dirty. I have tested the Everglide fuZe with a Logitech MX700 mouse and my conclusions are that it provides a good slick surface combined with good tracking. 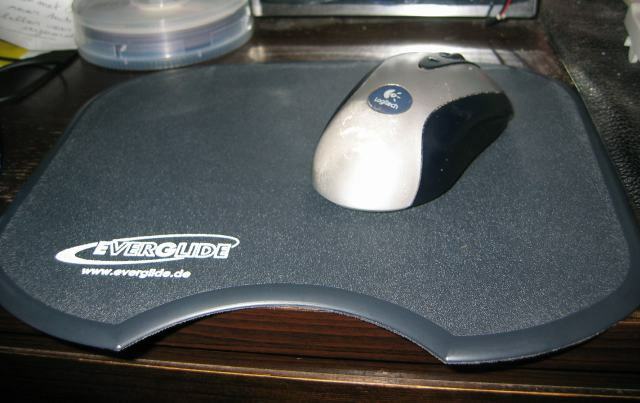 (Note: Indiweb's website states that this mousepad might not work well with some optical mice). The price from Indiweb is 19.95EUR, without shipping costs. The Everglide fuZe mousepad gets 8/10!